We live in an era where music students learn to use digital keyboards and analog effects systems side by side, where musicians plan out the modular synthesizer racks of their dreams on websites, and where music teachers offer tips on how to digitally record music made on classic synthesizer components. You might find it hard to believe that, just a generation ago, digital synthesizers and modular systems could rarely, if ever, be incorporated into the same systems. Fortunately, full-time musicians, amateur gearheads, music students, studio wizards, and programmers can now work with both keyboard and MIDI digital synthesizers, as well as modular synthesizers components with analog patching capabilities. With synthesizers reaching new heights of popularity each year, we knew that it was time for us to take a look at the most powerful, versatile, and best-sounding modular synthesizer systems that could be connected to keyboards or other MIDI input controls. This synthesizer system lets you craft warm, bright analog tones, and allows you to expand the system’s possibilities by connecting it to analog accessories and MIDI-enabled digital components. 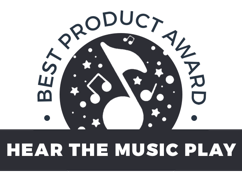 We strive to deliver you an informed opinion on musical instruments and accessories, and we know that you need to be able to trust the advice we give when choosing synthesizer systems, in particular. A great synthesizer system can cost you a hefty sum, but can also last you a lifetime, and provide you with so many features and settings to tweak that you can always discover new sounds. We have personal experience making music on synthesizer systems, including MIDI-compatible synthesizers and module accessories. 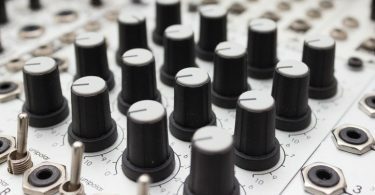 Our experience includes combining digital and analog equipment through digital systems that allow for analog output, and analog equipment that can connect to MIDI keyboards and computers as sources of digital input and output. We have also learned from, played music with, and discussed synthesizers with musicians who consider modular synths to be their favorite instruments. Even though we have hands-on experience with synths, we knew that we could not just rely on our own opinions to come up with a pick for the best modular synthesizer system. When we wrote this article, we spent time researching which synths were on the market and available for you to buy. Generally, we only included systems on our list that had MIDI compatibility, but could also be incorporated into a modular synthesizer containing analog accessories, like a Eurorack setup. List in hand, we reached out to musicians, musical equipment retailers, and music students, along with some of our readers. We made sure everyone we talked to had direct experience with modular synth systems and synthesizers that combine digital and analog components. After hours of getting advice, discussing different systems, and taking part in a couple of spirited debates with the people we spoke to, we pared the list down to seven contenders for the title of the best modular synthesizer system. We compared and contrasted these seven synthesizers with regard to how the systems sounded, their functions, their compatibility with other modular equipment and digital MIDI devices, how easy they were to learn and use, and which types of musicians would like them. What Are the Benefits of Keyboard and MIDI Modular Synthesizer Systems? Let’s talk for a moment about analog and digital synthesizers before we start describing the benefits these systems provide to musicians. Modular synthesizers are made up of sets of individual electronic components, each of which perform functions related to electrical signals. Synthesizer systems, and their accessories, can directly trigger, control, and change electrical voltage signals to produce musical sounds. The entry in Wikipedia on these devices can help you understand the functions that individual modules serve. Many modular synthesizers are analog, meaning that they directly initiate and manipulate electrical signals. When you tweak a slider on an analog synthesizer system, for example, you are directly controlling a component, such as a gate, that will influence the signal’s transmission. For even more information on how analog synths work, take a look at this Youtube video. The birth of the digital era meant that software suites could emulate analog modules and devices. This newer technology virtually manipulates voltage signals through digital interfaces and outputs, and uses these emulations to create sounds. The Musical Instrument Digital Interface standard, or MIDI for short, provides a common language for digital musical devices to relay messages to each other. The Wikipedia article on MIDI offers an introduction to the technology itself, and how MIDI differs from analog synthesizers’ methods of signal transmission. Digital signals are electrical, but they encode information, while analog electrical signals contain properties that directly correspond to the sounds that you hear. For example, changing the frequency of an analog signal will change the pitch of the sound. 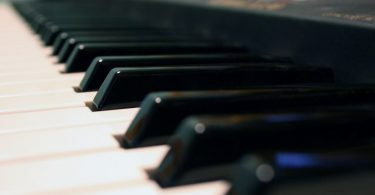 A digital piano or a computer running a MIDI composition program would represent different pitches symbolically, in binary code. Even though these signals are highly distinct, the right equipment can still “translate” analog signals to MIDI, and vice versa. Keyboard and MIDI modular synthesizer systems can use analog signals to create sounds that digital instruments, such as MIDI software, cannot replicate on their own, or have difficulty emulating. Although the controversy has never been resolved one way or the other, some musicians also claim that analog synthesizers always have a superior sound. Musicians from the 1960s through the beginning of the 1980s almost exclusively used analog synthesizers, and even today, professional musicians and people who play for fun still find that they like the warm, rich sounds that these systems can create. Modular synthesizer systems engage the musician because they actively use switches, knobs, configurations of patch cables, and sliders to change sounds, which may encourage more experimentation than being stuck using a few pre-built sounds on a digital electronic instrument. Because the systems can be hooked up to any number of accessories through patch cables, musicians can experiment even further by adding to, controlling, and changing their synthesizer signals with these accessories. Unlike systems without MIDI compatibility, MIDI-enabled synthesizers permit musicians to use digital inputs and controls. 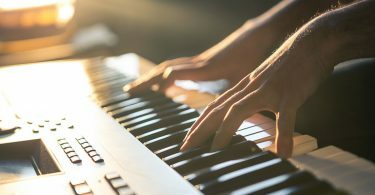 You may find this helpful if you want to be able to play a full range of notes, such as those on a digital piano keyboard, or if you want to be able to use a computer’s interface to select notes from an emulated guitar fretboard. Often, older analog synthesizers had small keyboards, or had to include hardwired full-size piano keyboards. These solutions were bulkier and gave musicians less freedom over controlling musical input compared to MIDI controls. 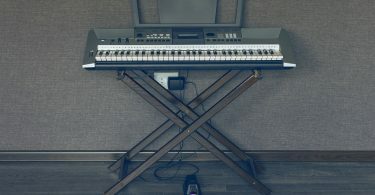 Some synthesizers also use USB ports to transmit MIDI information, which can let you work with computers or other digital devices that lack designated MIDI ports without needing to buy additional specialized cables. MIDI compatibility also permits musicians to connect their modular synthesizer system to digital recording devices, including portable multi-track recorders and computers with recording software. 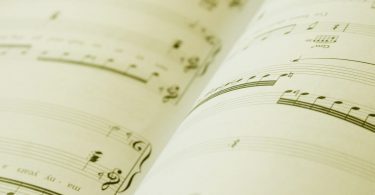 Some musicians find digital recording easier and more accessible than using analog options, although personal preference can influence these views. 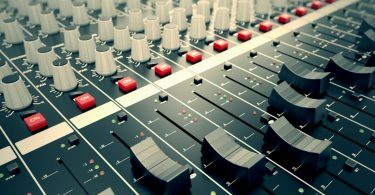 Digital recording can allow musicians to engage in post-recording options such as mastering, editing, and overdubbing that require years of practice to perfect when using analog recordings. Musicians playing on keyboard and MIDI modular synthesizer systems can utilize computers, sound modules, or other digital technology that uses MIDI to save sound and instrument settings they create through analog configurations. This way, if you were experimenting and found a new favorite synthesizer tone, you can simply record it as a digital instrument and use a MIDI keyboard or digital device to use that instrument whenever you want. Analog synthesizers without MIDI compatibility require musicians to write down and keep track of all their patch and accessory settings to replicate a tone they like. Analog versus digital – Many modular synthesizer systems are analog, even today, for reasons that include their sound, their degree of customization they allow, and because modular accessories, such as Eurorack items, are usually designed for handing analog signals. Internal components can then encode the analog signals to send them through to MIDI devices. Other synthesizer systems have digital internal components that are intended to emulate analog signals. This digital information can be directly conveyed to devices connected by MIDI or USB cables. However, digital synthesizers must convert their output to analog signals, either through internal components or by an external accessory, before the system can function with modular synth accessories. Desktop versus rack – Modular synthesizer accessories are generally designed to fit on audiovisual racks, whether or not they conform to the Eurorack size standards. However, manufacturers do not always design the main synthesizer systems to fit on a rack. Desktop or tabletop synthesizers tend to be large, because the user may place them on top of a rack system, on a stand, or like the names indicate, on a flat surface with plenty of space. These synthesizers can still connect to rack accessories, but their shape and size also let musicians place them next to a computer or digital piano as a controller or recording system. Certain tabletop synthesizers are also sized to slide into a MIDI keyboard, which can be very convenient if you prefer to use keyboard controllers. Rack synthesizer systems may have as many features as a tabletop system, but they are intended to fit into a rack system alongside your other synth accessories. 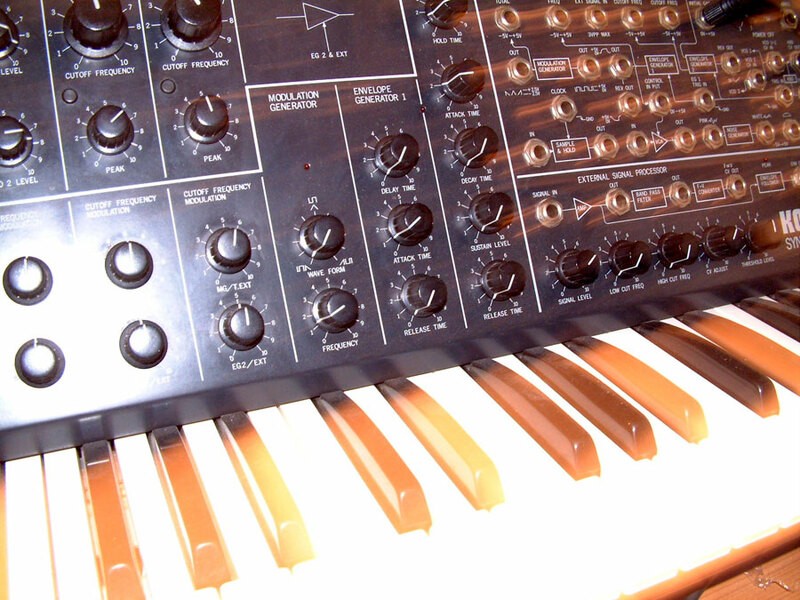 Number and types of ports – Most modular synthesizer systems have MIDI input and output ports, but occasionally, synthesizers may have only one, which forces the user to choose between using a MIDI input, such as a keyboard, or using a MIDI output, like recording music on a portable digital multitrack device. Newer models often, but do not always, have USB ports as well, which are capable of sending MIDI as output and input, thereby freeing up the MIDI ports for other uses. Research the music you like, and give some thought to the types of music you want to create. Many times, you can learn about professional musicians’ tastes in synthesizers with a bit of research. If you have specific genres that you like to play, look up the essential synthesizers and accessories that give those styles a characteristic sound. Try to check out how specific synthesizers sound ahead of time. You have plenty of options for playing, or at least listening to, synthesizers when making a decision. Often, musicians and manufacturers put videos online that feature certain synthesizer systems, or you can listen to songs with a system you are interested in. Music stores also sometimes allow customers to try out systems that are out on display. Give some thought to the accessories you want to use with your synthesizer. You naturally will want to consider which modular accessories you already own, or are planning on buying. Also figure out which MIDI-compatible devices you will want to use, such as keyboards or other MIDI instruments as controllers, or laptops for recording and post-production. These needs can impact which features your synthesizer system should have. Think about how and where you will use your synthesizer system. If you have been playing a synth for years and have amassed an impressive collection of Eurorack accessories in your house, you might lean toward a powerful rack system. On the other hand, if you have only recently begun your journey into synthesizer music, and you know you will be taking your system with you to music classes, school, or a practice space, you may want to lean toward synthesizers that can provide you with portability and ease of use. We chose the Korg MS20 Mini Semi-Modular Analog Synthesizer as the best Keyboard and MIDI Modular Synthesizer Systems you can buy on the market right now. While the MS20 is far from the most expensive synthesizer system we looked at, we still thought the Korg MS gives the user a powerful, comprehensive synthesizer platform for a very reasonable price. Let’s go over the features we liked the most about the Korg MS20, along with some of the aspects we were less enthusiastic about. This system sounds incredible, and you can quickly pick up on how to develop specific types of sounds that you want. Readers especially praised the rich basslines that you can create, which are deep and resonant. We liked the inclusion of two oscillators with different waveforms, and the ability to set distortion on individual filters. After a few minutes of experimentation, we were able to create vibrant, full tones that would work great for leads. 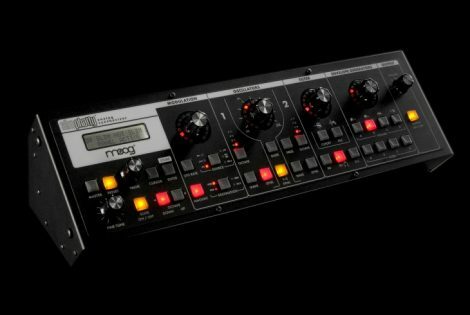 The MS20 is dubbed “semi-modular,” but the truth is that is has enough analog outputs and throughput ports to fit well with any modular system. Advanced users can use cables to patch over preset functions to get the specific sounds they want, or to incorporate all of their accessories. However, new users can also use the control knobs, built-in keyboard, and pitch shifter wheel to easily begin creating music right away. We particularly liked the way the MS20 is laid out. The various ports have a diagrammatic map on the system’s face panel, which can help novice synthesizer players learn how different types of effects and features are employed at different points in the signal path. This feature, along with the logical layout of the effect knobs, make the MS20 more learner-friendly than certain systems. The MS20 has MIDI compatibility, but only contains a MIDI input jack. We wish there were a designated output jack as well, but you can use the USB connection as an output. That way, you can still digitally record music from the MS20. We felt the MS20 could fit well into a small home synthesizer setup. However, musicians who had toured with synthesizer systems stated that they did not feel comfortable traveling extensively with the MS20, because its shape made it difficult to place inside of a case. They also reported that they felt the MS20 had more risks of damage from being jostled or falling compared to a modular synthesizer system or a tabletop system with a larger surface area. The Moog LPS001 Slim Phatty Tabletop Synthesizer is our runner up keyboard and modular mini synthesizer, because even though it sounds great and has some unique features you won’t find in other synth systems, it has some limitations too. With the LPS001 Slim Phatty, you get quite a bit of functionality for your money. The LPS001at first appears to be a digital emulator of a traditional synthesizer, but in fact, it is fully analog. This synthesizer system can deliver warm leads and booming bass, and can be configured to allow for tonal styles that are not usually heard in Western music. However, as some readers have pointed out, the tones you can create through the Slim Phatty feel somewhat limited. In part, this limitation derives from the single channel output, so you cannot generate multiple voices at once. Also, the envelope generator only lets you change one parameter at a time. To us, that felt more restrictive than having the ability to alter all of the envelope features at once. The inclusion of a pixel display alongside colored indicator lights with the buttons and dials were nice touches. Even though the LPS001 is extremely compact, we still felt that it was usually easy to locate the settings we wanted to change. I also thought the lit buttons could really help when playing in a dim venue, because no musician wants to have to ask for a flashlight so they can see which knob is which on their gear during a performance. The LPS001has both USB and MIDI ports. We liked the inclusion of three MIDI ports, as this would allow for digital controllers and output accessories to be connected to the LPS001. However, musicians have told us about limitations when using the USB port. They had trouble hooking up MIDI devices as input controllers with the USB port. While the USB port worked just fine for sending output to a computer or a MIDI recording device, they cautioned that the connections always had to be recalibrated when the LPS001was hooked up to new devices to prevent unwanted distortions in the tuning. With a price tag of , the System-500 Complete Set Modular Synthesizer, made by Roland, is a much more substantial investment than our recommended and runner-up synthesizers. Having said that, though, this synthesizer may be the preferred option for musicians who have more experience playing analog synthesizers and have their own accessory setups. This synthesizer system can be placed in a rack setup, and while its layout assumes the user already knows how to configure analog synths, it is able to deliver a stunning diversity of voices, and even lets you edit and play different envelope configurations simultaneously. We thought this would be helpful for playing simultaneous bass and lead sounds during live performances. This synthesizer seems to have a less forgiving learning curve, but it could be a great synth for someone who is looking for a new system that will be the cornerstone of their modular system. Credit: pittsburgh modular synthesizers llc. 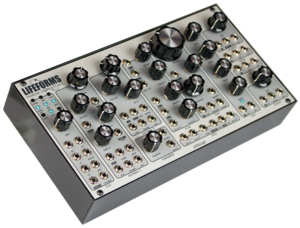 Pittsburgh Modular’s Lifeforms SV-1 Blackbox Desktop Modular Synth is another synthesizer system that can be integrated into a rack setup. This system has a price that varies from $650-$750, and combines patching and knob-driven features, which ensures that the knowledgeable user can employ this system for a large number of uses. This system has MIDI input and output functionality, but it does not have a USB port or standard MIDI ports. Instead, the MIDI connections make use of 1/8” ports, so you would not be able to use, for example, a MIDI controller that lacks its own power source to control this synthesizer. Hooking the Lifeforms SV-1 to a computer might also be more difficult if you want to utilize the computer as a control source while also recording. Including a USB port would have made these processes easier, but we can also see where musicians who are serious about analog sound would not be fazed by this omission. In fact, the Lifeforms SV-1 could appeal to musicians with a solid collection of analog accessories. Its design and materials make the SV-1 seem like it would hold up on tour quite well, also. 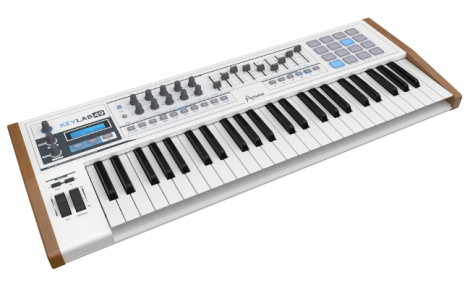 Made by Arturia, the KeyLab 49 Hybrid USB/MIDI Keyboard Controller is a digital synthesizer that includes a hardwired keyboard controller. It is available for , making it one of the more affordable options for musicians who are just getting started with their synthesizer collection. The Keylab 49 is capable of interfacing with analog modular accessories, but also permits MIDI input and output, and a USB port for MIDI communications, so it could be helpful for people who are not comfortable with analog patching, and who plan on using primarily digital equipment with their synthesizer. Although the sound bank for this synthesizer is vast, and clearly intended to emulate many analog sounds, we felt that many of the pre-set sounds lacked the same warmth and depth of the fully analog systems we looked at. However, the user can edit the pre-set sounds, and we were able to get some lead sounds we enjoyed after making some changes. A few readers have warned us that they have encountered some problems when using the KeyLab 49 for an extended amount of time, though. In some cases, key presses would not always register, and in one worst case scenario, they actually broke altogether. If you are planning on using your synthesizer system heavily, this may not be the optimal component for you. 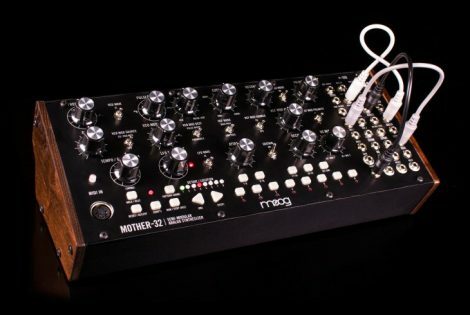 The next Moog system that we considered was the Mother 32 Semi-Modular Synthesizer. It can be purchased for $499.00, and this unit is also not for beginners, but synthesizer experts will love experimenting with its features and sounds. The Mother 32 lets you edit pitch, create accented notes, and sequence sounds, and we liked the clean high tones and fuzzy, distorted bass that we were able to create. The Mother 32 only has a MIDI input jack, so you can use a MIDI keyboard or another MIDI device as a controller, but you would need to use a regular stereo connection as an output, instead of a dedicated MIDI line. The jacks are neatly arrayed on the side of this synthesizer, and we think the Mother 32 could be easily incorporated into a rack system full of accessories without the patch lines interfering while you are trying to control the tones. The layout and design of the Mother 32 do not seem like they would welcome someone who is just starting to play a synthesizer, though, as they might find themselves baffled by the jack layouts and the minimal descriptions of control functions. In a way, that is a shame, because we loved the sounds that came out of this system. The System-1m Plug-Out Synthesizer Module is the second fully digital synthesizer system we considered in these reviews, and also the second unit produced by legendary manufacturer Roland. You can find the System-1m for $547.00. Even though the System-1m is a digital source, it has knob and slider controls evocative of analog technology, and even fits in a Eurorack configuration. We liked the inclusion of two MIDI ports and a USB port, as you could connect multiple digital devices to this synthesizer system, yet there are also ports that permit connections to analog to voltage converters. We thought some of the sounds were able to emulate older analog synthesizers quite well, but also noticed that we were not always able to achieve quite the effects we wanted. For example, even though the System-1m lets you filter sounds and add reverb, the controls were more simplistic and therefore more limiting than in individual modules. This system could be a path to learning how to use more complex synthesizers, but the price may turn off music students and hobbyists who are looking to buy equipment on a budget.